Developments in the cryptocurrency space seem to keep happening with great regularity. Significant improvements in transaction speeds of various cryptocurrencies make mainstream adoption more likely. Major financial institutions keep funding these projects because they know this technology can solve many problems. 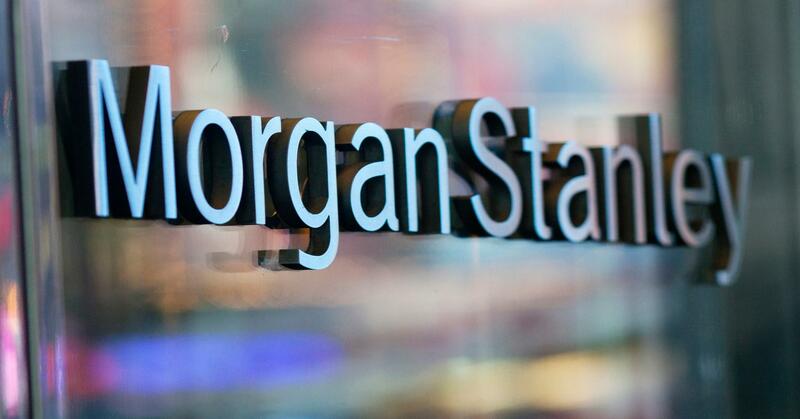 Morgan Creek, JP Morgan, Fidelity, and now Morgan Stanley are funding these projects in a big way. Just like life, good news comes with the bad, and investing in this technology is no different. It never seems to amaze me when Jamie Dimon or Charlie Munger come out and dismiss the capabilities of the blockchain. Time and time again, when these people at the top reject something, it just means you should probably look into it. Why are these pillars of global finance adopting or researching the technology while rejecting it publicly? It must be a distraction. Morgan Stanley released a 50-page report on cryptocurrencies and blockchain tech. The report, titled “Update: Bitcoin, Cryptocurrencies, and Blockchain,” mentions how trading volumes have dropped quite significantly as institutional money has come in. An interesting note in the report shows 48% of investments have come from hedge funds, another 48% from venture capital, and the remaining 4% from private equity. The majority of the funds are coming from the U.S., which makes up 50%, China at 9%, and the U.K. at 6%. Morgan Stanley also notes that only 4 of the top 500 e-commerce companies accept Bitcoin. Trading has gained in selection, as 52% of Bitcoin is being traded against crypto pairs and the other 48% is being traded against fiat.While crypto has widespread speculation of what it can be used for, the report says that business-to-business payments, cross-border transfers, shipping, finance, trade settlement, and know-your-customer are a few possibilities. We are in one of those periods where the technology is being developed, and the question is what will stick. 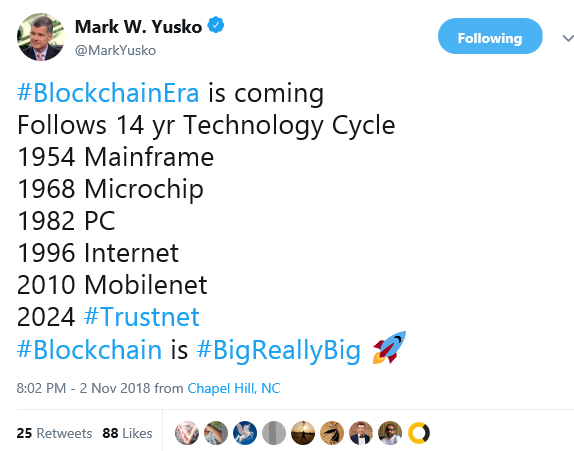 If you look at recent times, we had the Dotcom boom in 1996, the mobile boom in 2010, and blockchain could be 2024. Several of the issues in the crypto space will likely be solved in 2019. If that is the case, we should see some price appreciation, as new technology will build on top of the networks already built. Big money doesn’t get into any asset when it’s expensive. 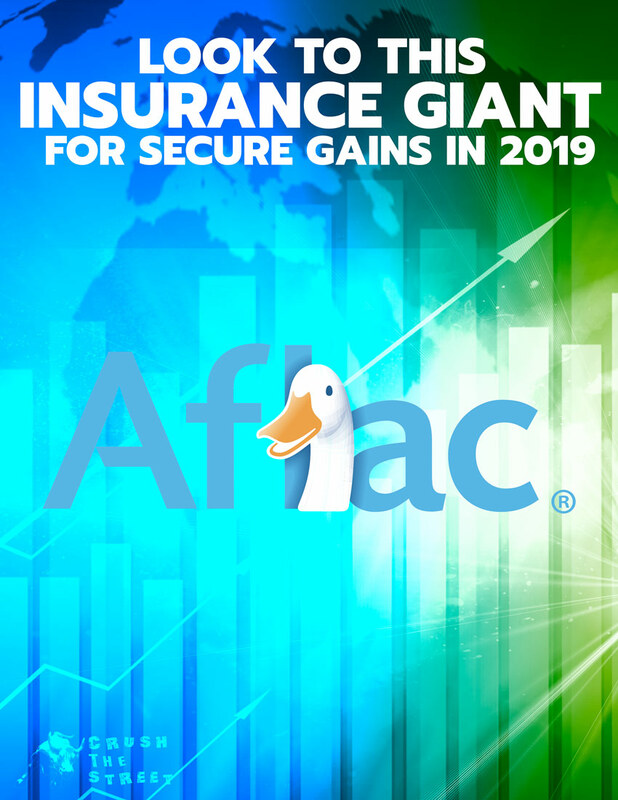 This is definitely an accumulation period, as the finance giants are pouring money in when the market is flat. Of note, the report labels cryptocurrencies as a new institutional investment class. Fidelity will have a new option for 401(k)s before you know it. On a side note, ex-Fed Chair Janet Yellen, not a proponent of Bitcoin, received her first bitcoin. Obviously, she is not going to be a fan. What is funny is that the founder of Bitericar sent Yellen Bitcoin via her Berkeley email address. 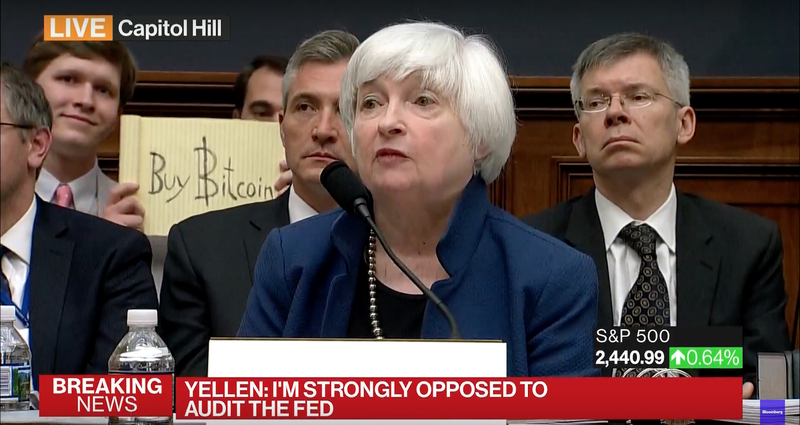 I doubt she will be the Satoshi Nakamoto of the Fed. Maybe we won’t need the Fed anyway?